Magento 2 is the latest incarnation of the leading enterprise-class eCommerce platform, utilised by over 200,000 online retailers. In fact, it’s estimated that 1 in 4 businesses are using the Magento software. If you’re familiar with previous versions of Magento, you’ll already be well aware of its ease of use and other beneficial features, but M2 takes that to a whole new level, creating the most user-friendly and scalable eCommerce environment yet. In order to build ecommerce website with Magento 2, and still professionally, you should have tons of knowledge of Magento. You also need understanding about hosting, domain. It seem you have to tons of knowledge, Don’t worry about that. We will make a lot Magento 2 tutorials, you can more easy to build own ecommerce website with Magento 2. Like Previous Mangeto version , You have to build Magento theme and Magento extension for magento 2. 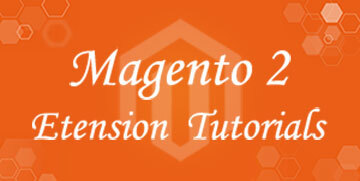 In this Mangento 2 tutorials, We have a lot of guides about how to build Magento extension and theme for Magento , We will also show common Magento bugs, issues and how to fix it . If you have an questions , you can comment under post. We will check and reply to you.